Caring for freshwater tropical fish is the best way for many beginners to get started. Tropical fish are easy to care for, are less expensive than saltwater fish, and most are less susceptible to slight changes in environmental conditions. Caring for most fish species is fairly easy and similar, except discus fish care which requires more attention to detail. Tropical fish tanks should be kept at a temperature between 70 and 80 degrees. A little over is better than a little under. 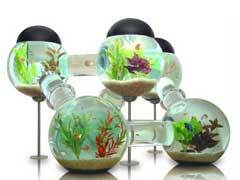 When you are picking out the fish tank decorations, you want to think about more than just what looks pretty. 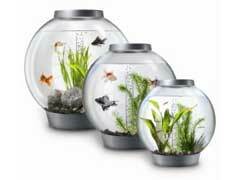 Make sure you think about the needs of the tank’s inhabitants and about how easy the decorations will be to maintain. 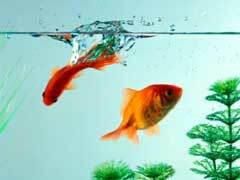 With those factors in mind, here are a few options to consider when choosing decorations for your aquarium fish tank. 1. Rock wall – You can buy sheets that look like rock walls or plastic rock walls, but you can also make your own by picking up small pebbles and rocks then gluing them together. An aquarium can be a beautiful addition to any home, but choosing the right tank can be a challenge. Examining the benefits of choosing one of the acrylic aquariums for sale can help people make the smart choice for their needs. 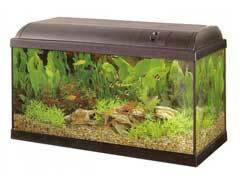 Glass tanks were standard until the introduction of acrylic aquariums for sale.